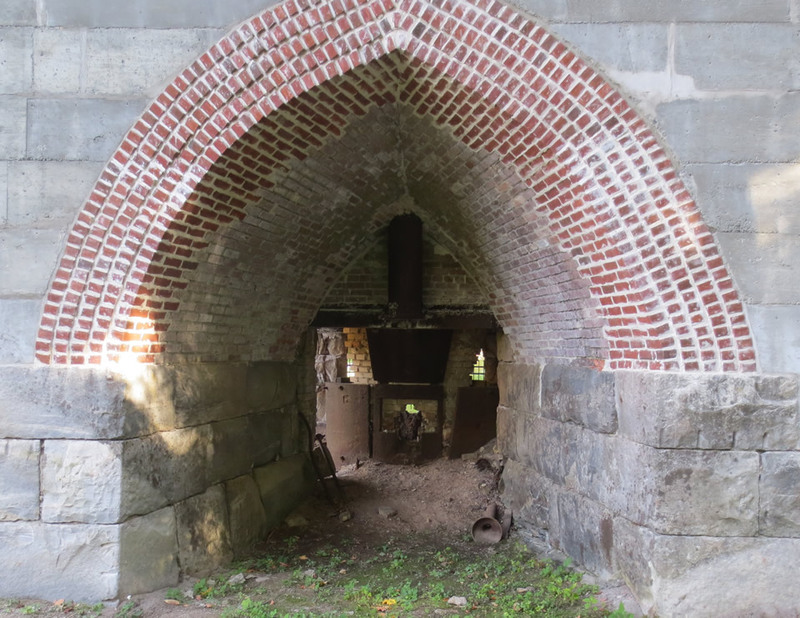 After my Copake Falls Bike ride on the Rail Trail, I rode my bike up into the Taconic State Park and checked out the ruins of the Copake Iron Works. It was a fascinating display of the iron making industry that was the economic backbone of this area back in the late 1800s. 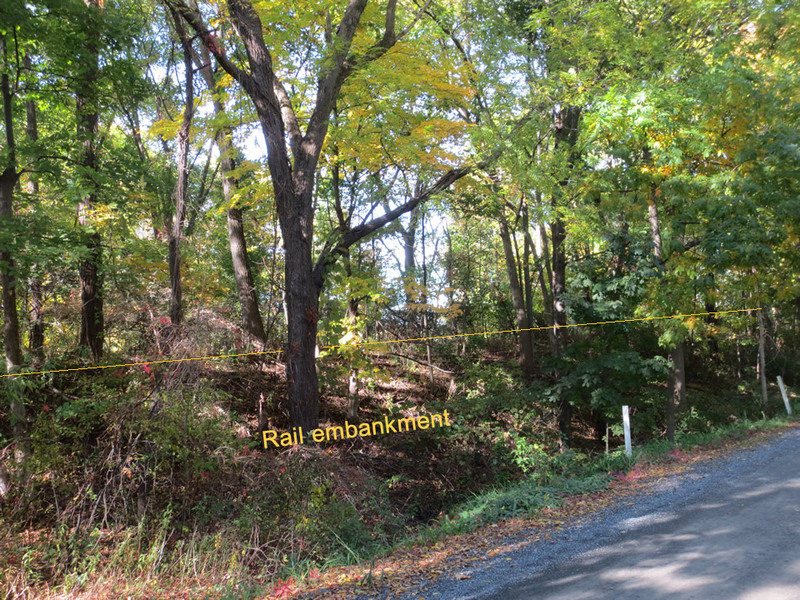 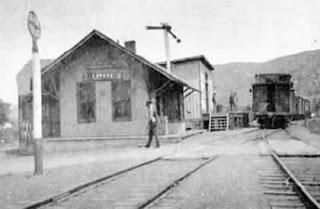 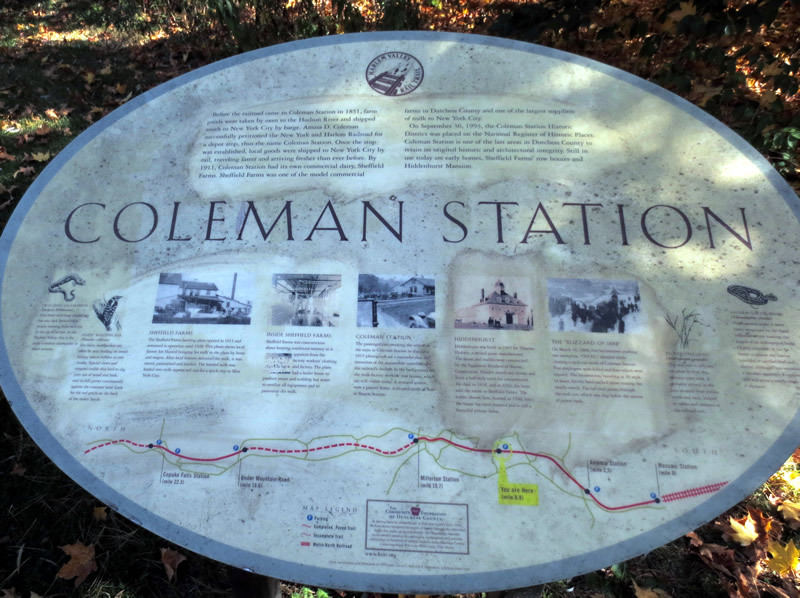 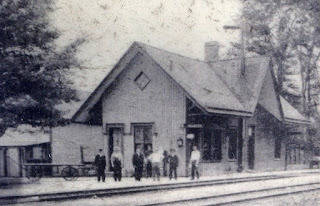 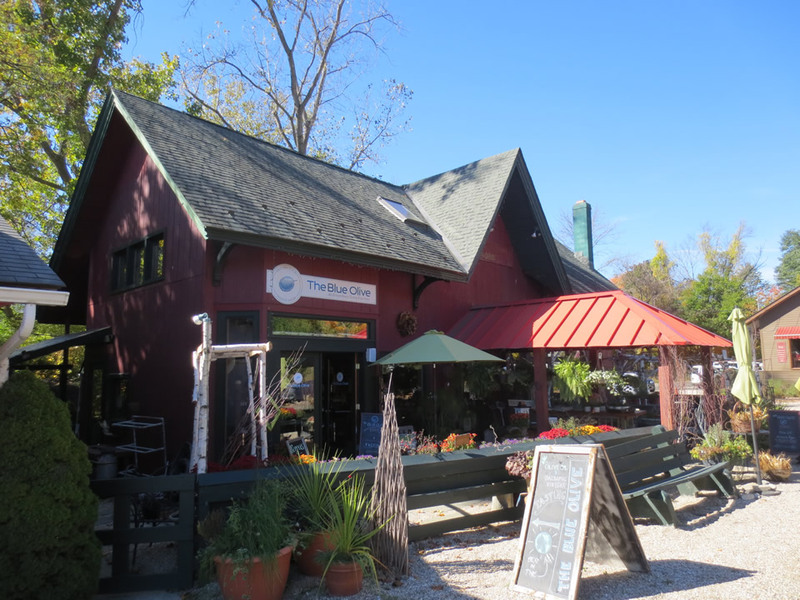 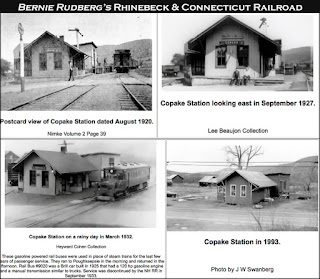 The IronWorks had their own narrow gauge railroad, built in 1862, to move goods to and from the furnace and bring completed cast-iron goods to Copake Station. The small museum even had a very nicely done diorama of the area. 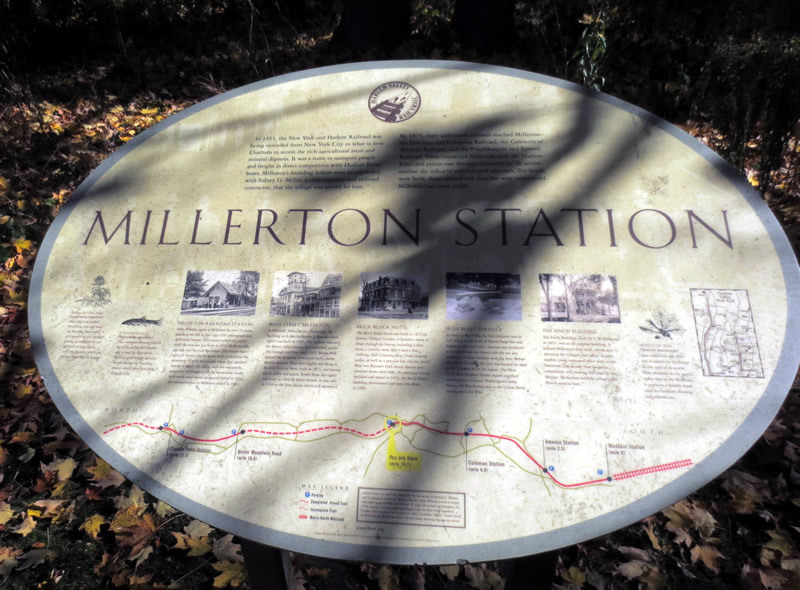 After this visit, I headed back south to research finding vestiges of the old ND&C west of Millerton. 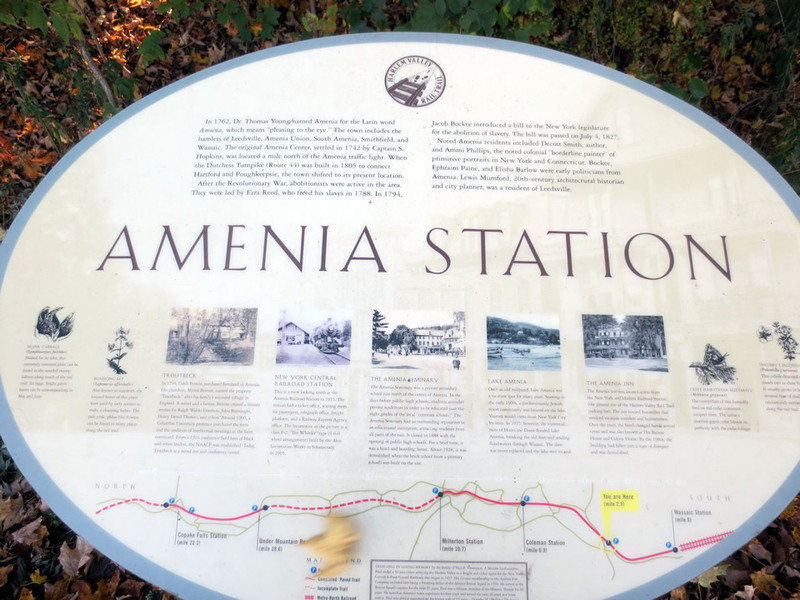 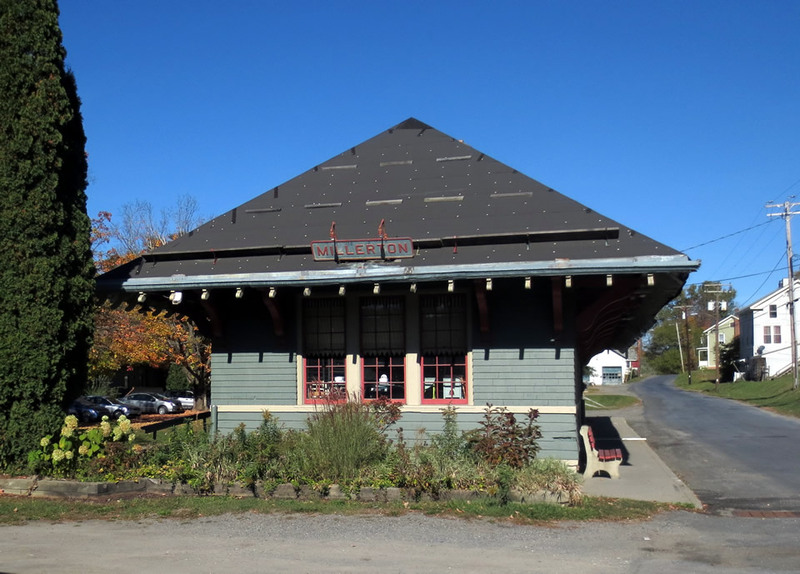 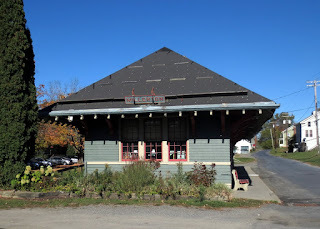 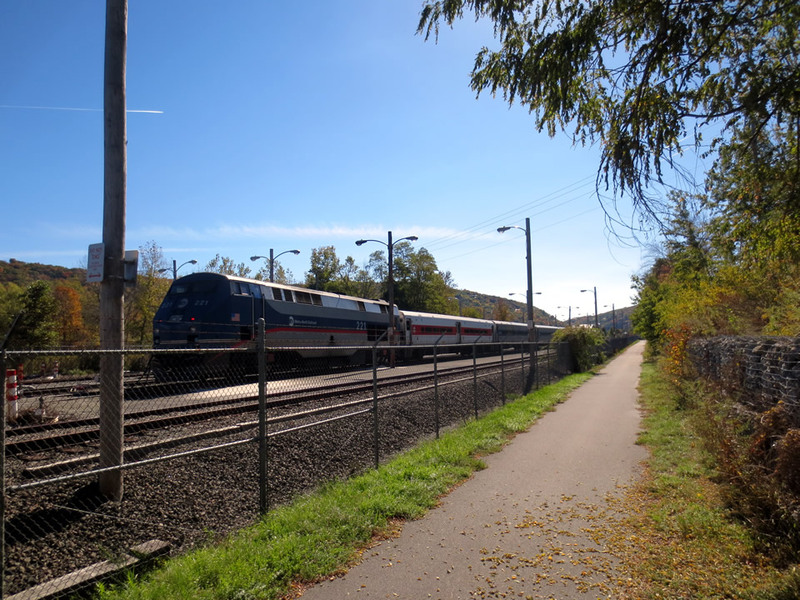 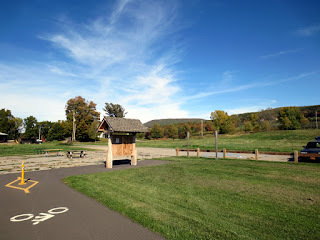 After riding the Harlem Valley Rail Trail and visiting the Copake Iron Works earlier in the day, I decided--while in the area--to try to sniff out traces of the old Newburgh, Dutchess and Connecticut Railroad (a.k.a Central New England Railway) that headed west out of Millerton. 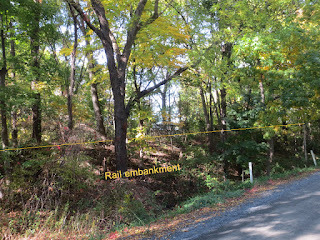 It wasn't that easy! 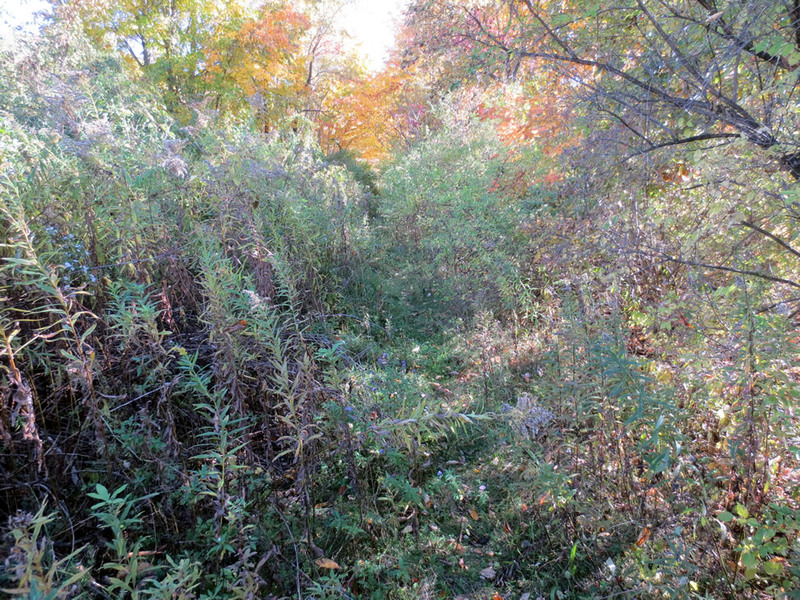 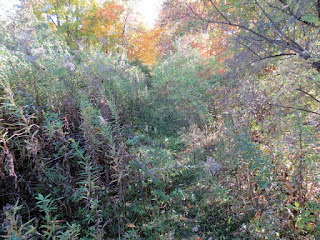 Much has been obscured by the ravages of nature or deep in the woods, inaccessible without a hike over private property. 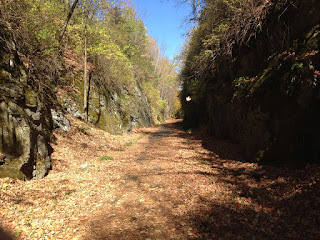 Nevertheless, I was happily able to spot a bit of the ROW along RT 199. 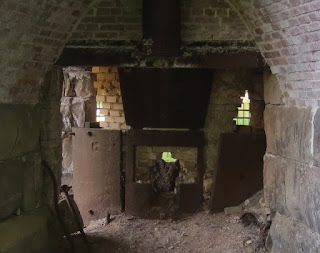 ...and was more than amply rewarded by finding this spot! 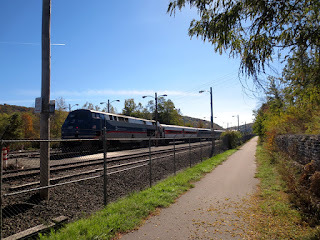 I will definitely be back up at some point to bike ride this (above) and of course look for more vestiges of the line in the area. 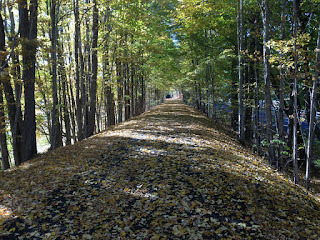 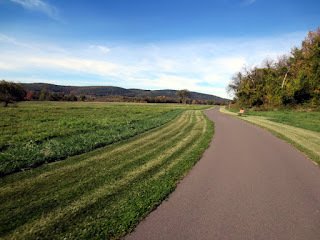 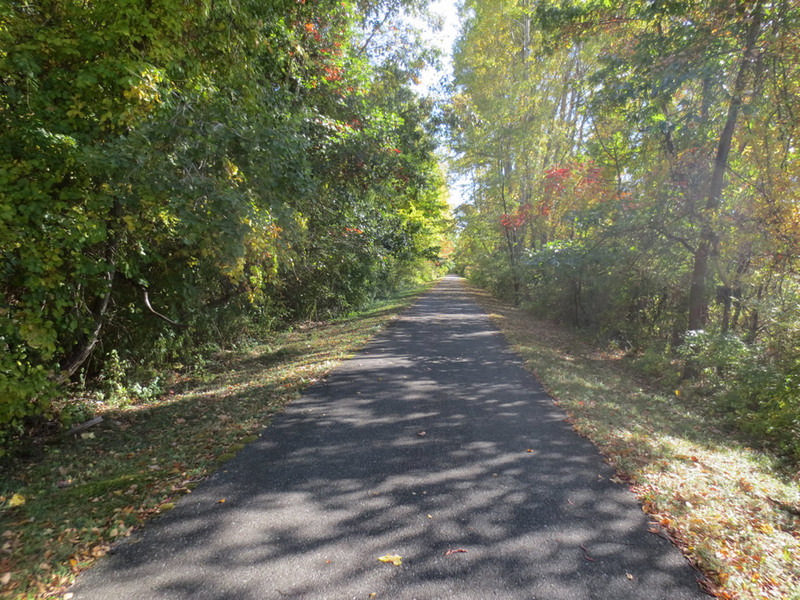 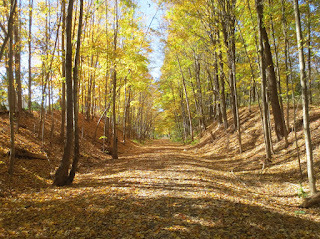 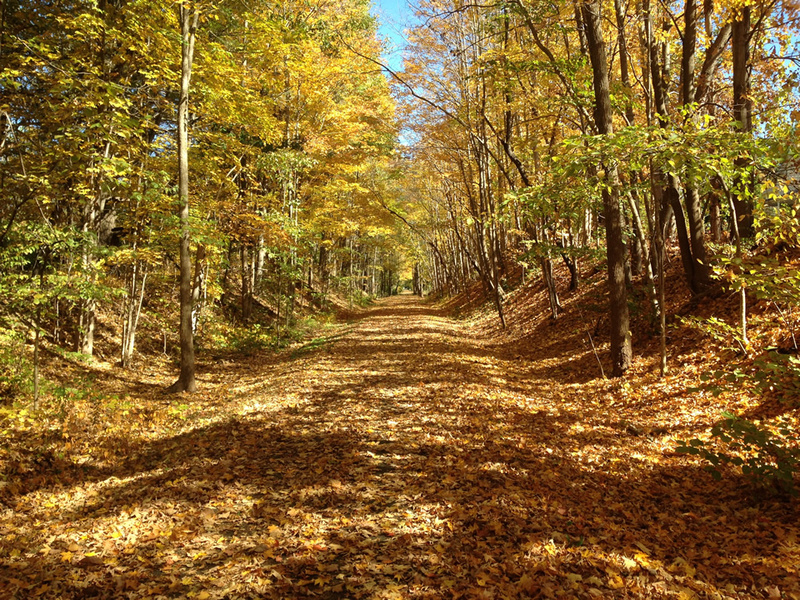 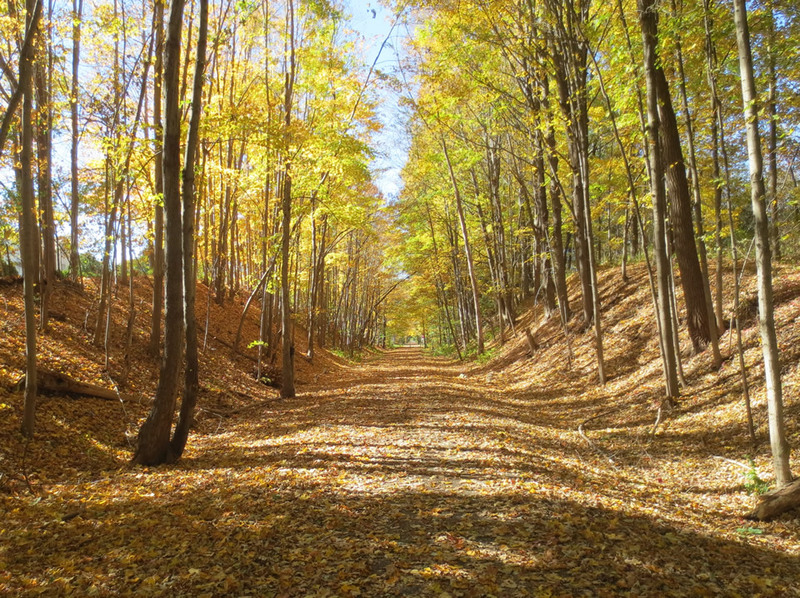 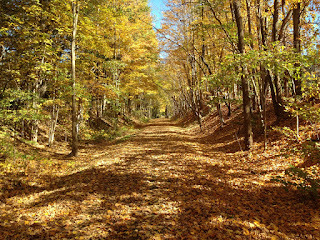 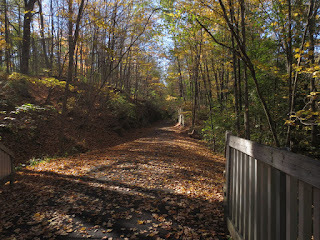 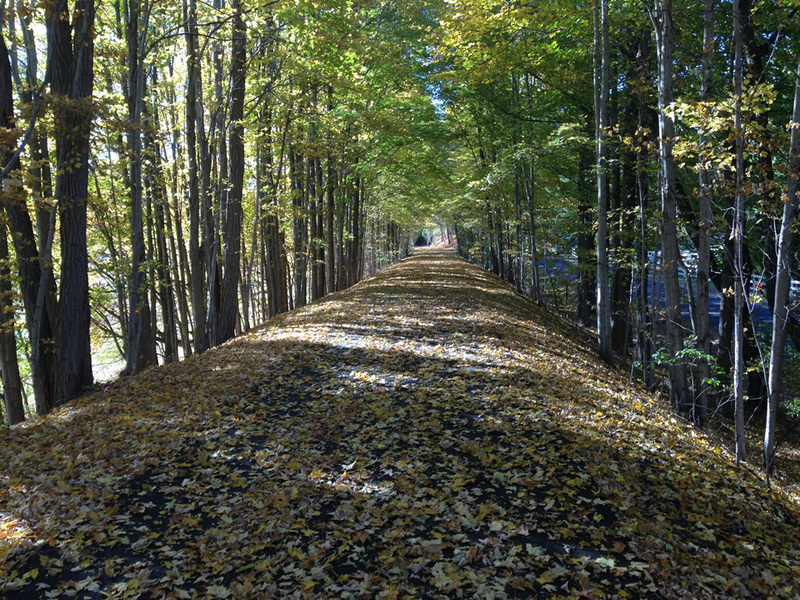 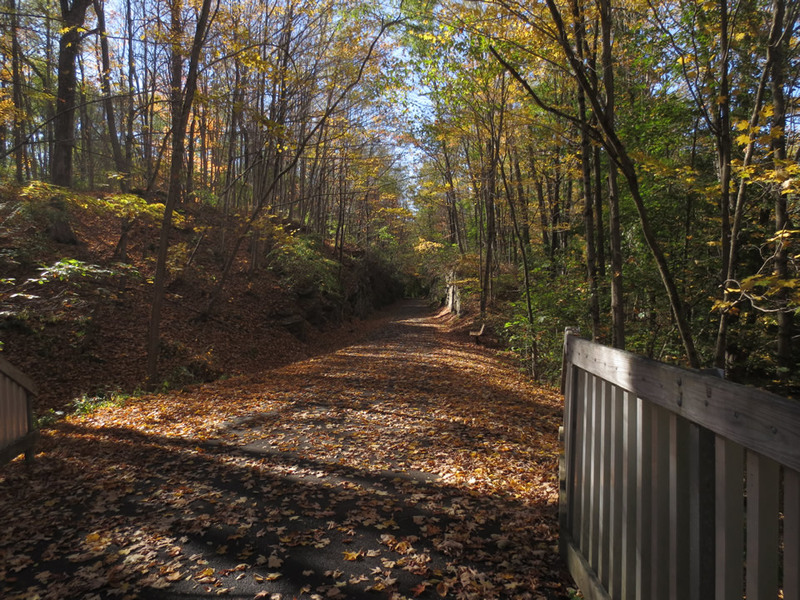 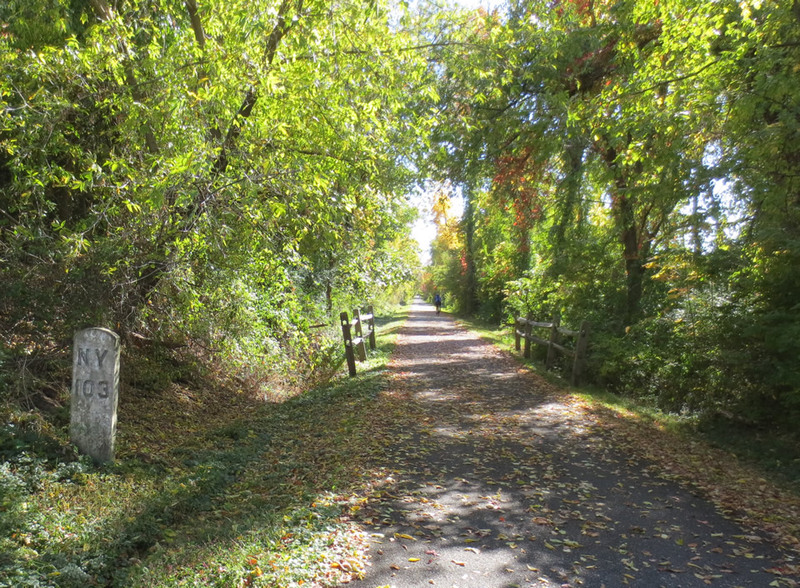 It was a beautiful autumn day and I thought it would be nice to ride the Harlem Valley Rail Trail and enjoy the wonderful blaze of autumn colors. 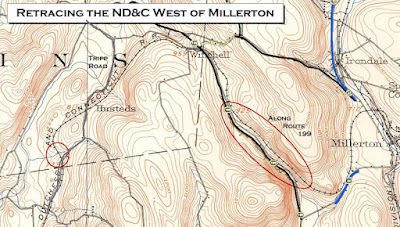 I started out at Millerton and headed south. 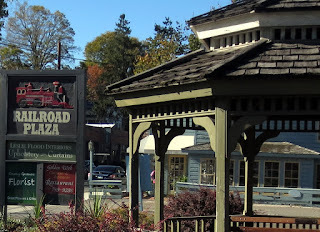 "Railroad Plaza" - I like that! 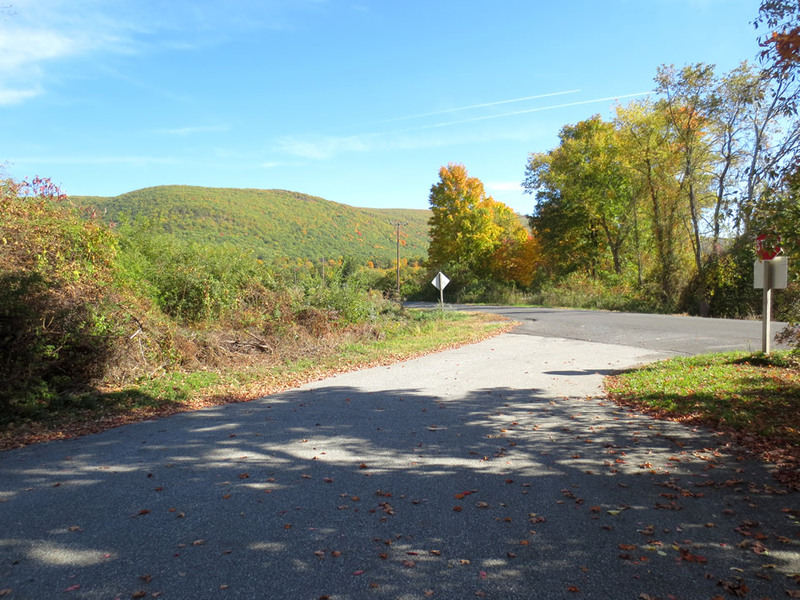 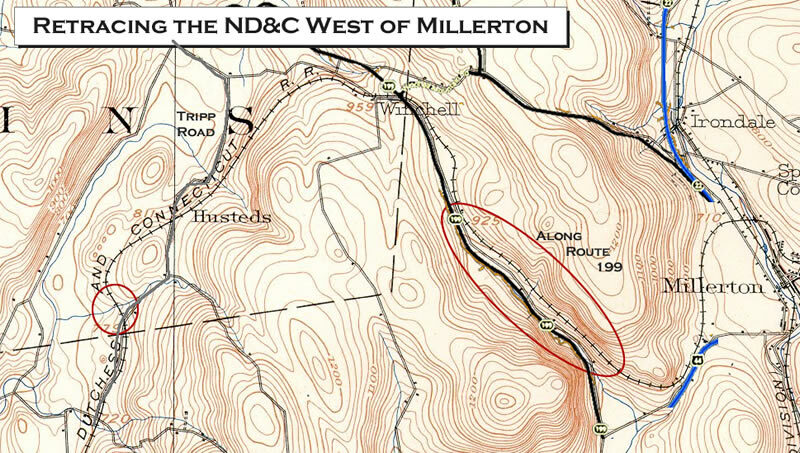 It's a very very slight downhill from Millerton to Wassaic, 285 feet difference. Autumn is a great time for riding this trail! 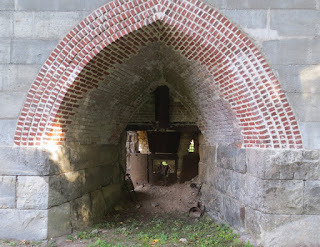 I next spent some time visiting the Copake IronWorks and later that day explored a bit of the ND&C abandoned ROW west of Millerton.